Choosing a dental team to trust with your oral health is a big decision. Getting to know us can help you see how our practice is right for you and your family! What Makes a Great Dental Practice? 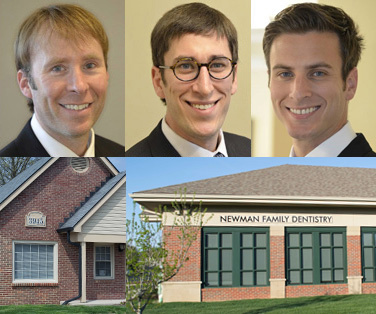 At Newman Family Dentistry, our goal is to provide excellence in dental care to every patient. That doesn’t just mean being experts in general, family & cosmetic dentistry or having top-of-the-line equipment and technology; it also means building a personal relationship with each patient, listening to your wants, needs and fears, and providing options that make getting dental care as easy, convenient, and comfortable as possible. Welcome to Our Practice Family! Then meet our team – Our front desk specialists, dental assistants & hygienists all work hard to ensure every visit to our offices is comfortable and hassle free! Sometimes you need to see something good to believe it. Call us and schedule an office tour, You can meet our staff in person and see our beautiful dental offices. Check out our special offers, and feel free to ask any question you may have. Taking care of basic dental needs shouldn’t be a source of aggravation. Make Newman Family Dentistry your new home, and find out what you’ve been missing when it comes to next generation dental care! "They really make going to the dentist something to look forward to."